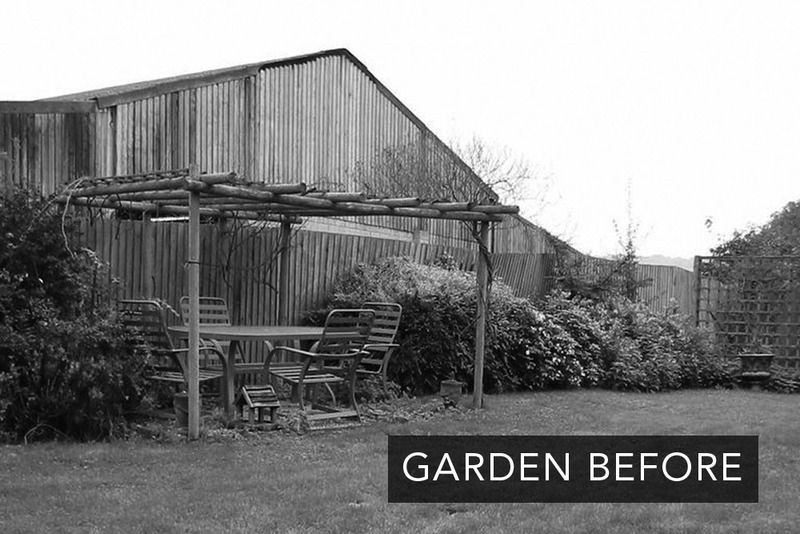 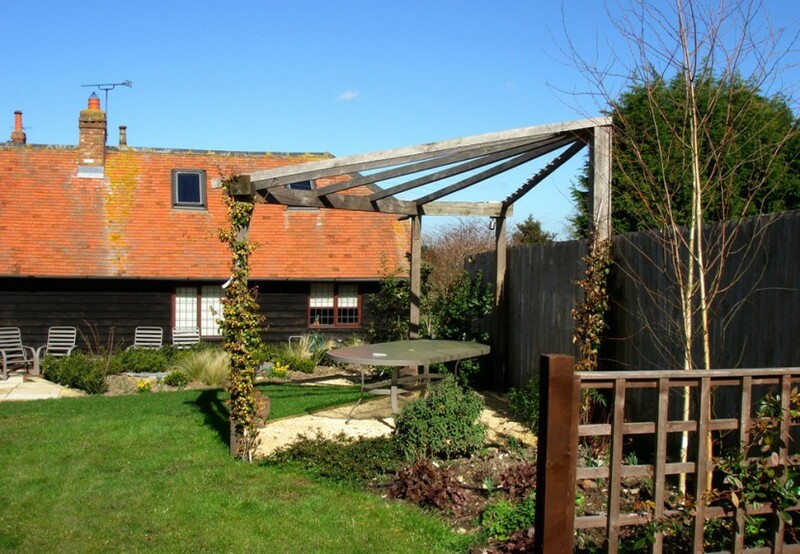 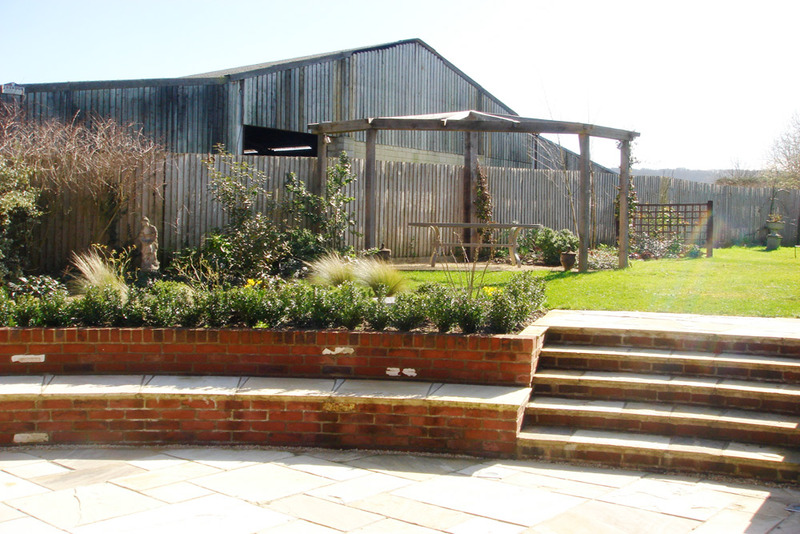 This large country garden has been designed into four areas: an entertaining space with a sitting area along which runs a water feature, a lawn with a pergola on the side to hide neighbouring warehouse, an orchard and a pond area filled with lush planting. 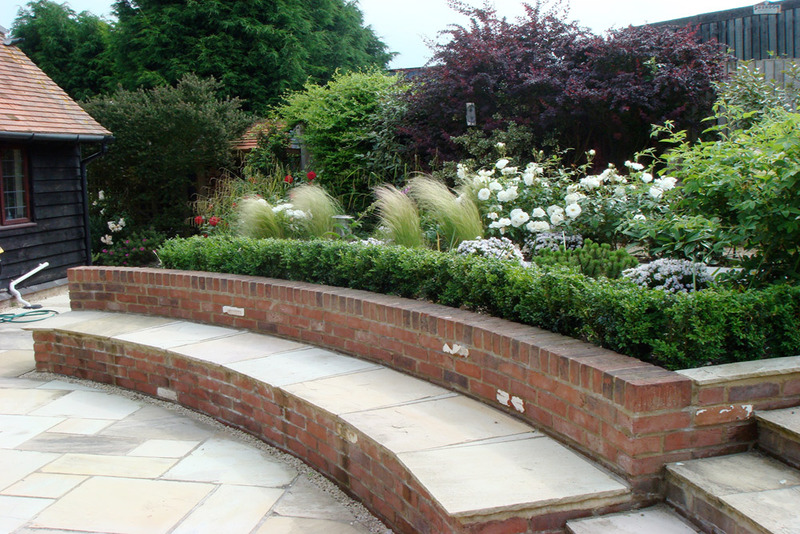 The design also includes a smaller sitting area along the side of the house and a wooden storage area. 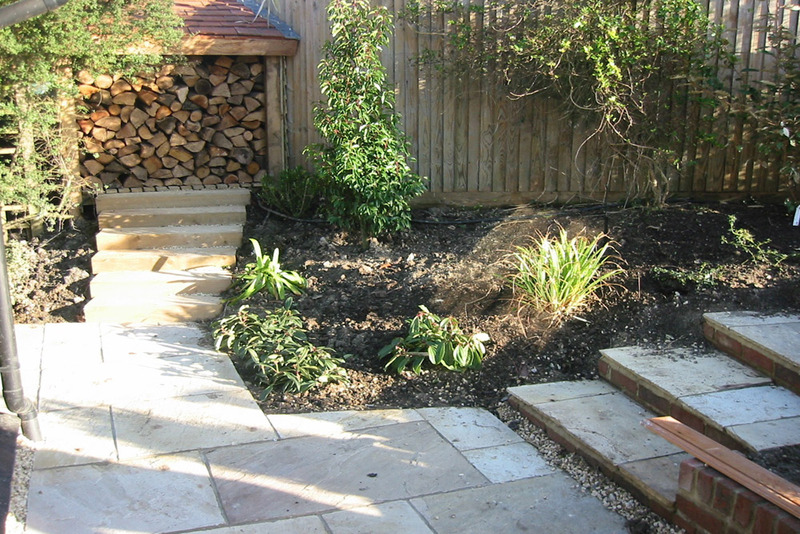 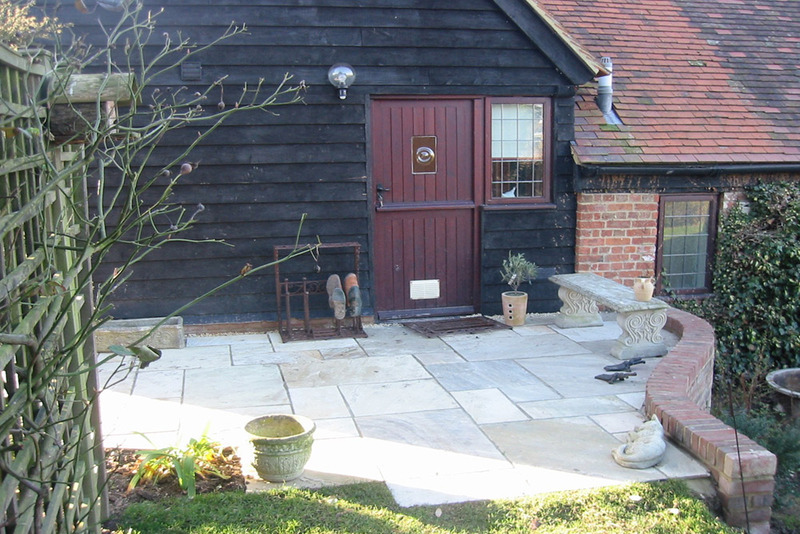 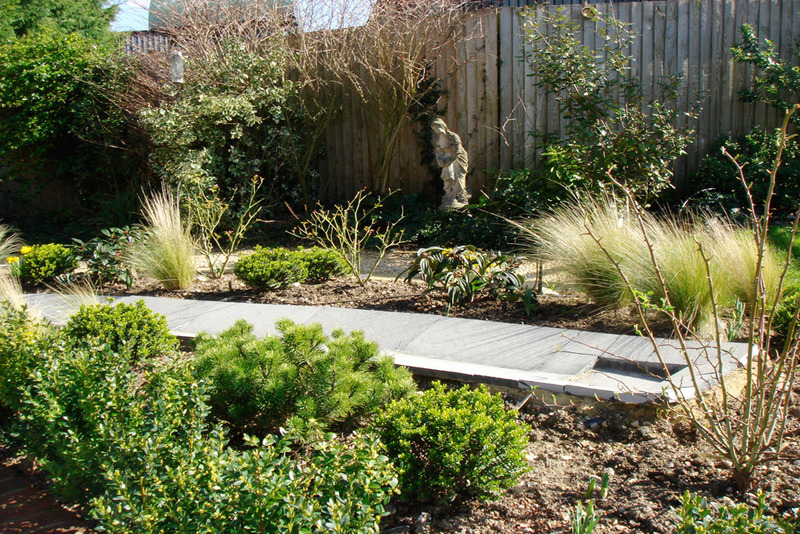 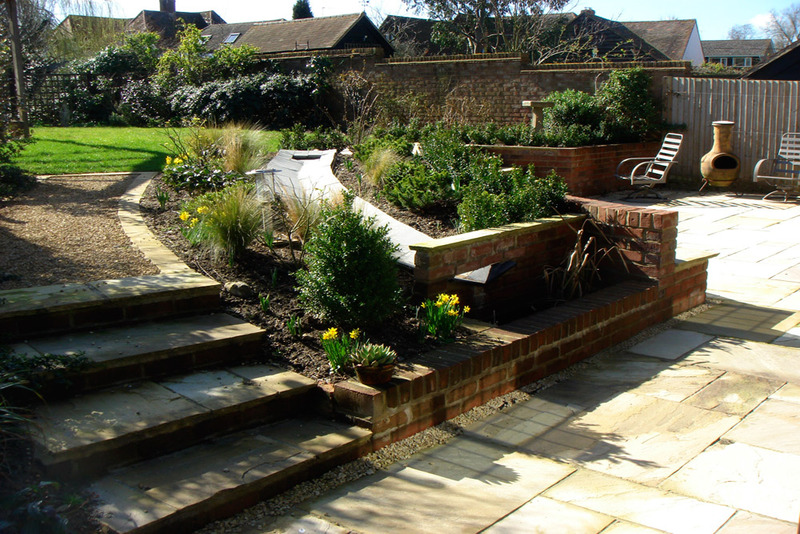 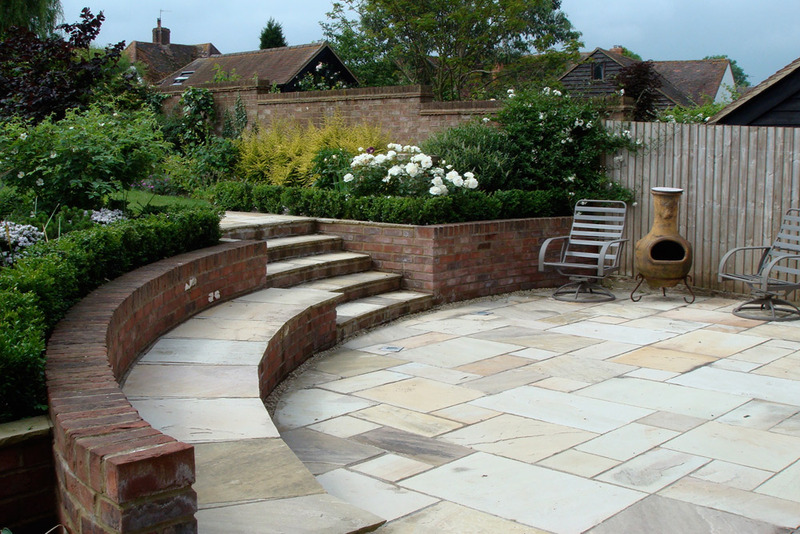 Reclaimed bricks, oak and natural stones have been used to give a timeless feel to this newly planted garden.